Laura E. Hayward | Littler Mendelson P.C. In 2011, Laura second-chaired a four-week class action meal period trial in Santa Clara County, which resulted in a total defense verdict. She has also successfully decertified several nationwide and statewide class actions, and in several cases, has negotiated with plaintiffs to drop their class claims and resolve their cases on an individual basis. She has also defended clients in class actions involving harassment and discrimination claims filed by the Equal Employment Opportunity Commission. 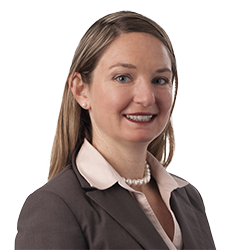 Prior to joining Littler, Laura worked for five years at a top-ranked international firm, where she specialized in employment and general business litigation, and class action defense. While in law school, she participated in the DC Street Law Clinic, where she taught a legal course to high school students; and Law Students in Court, where she represented low-income clients in court on a variety of landlord-tenant disputes and other issues.